Nuclear arms – as “the most inhumane weapon” – cannot be ever deployed and therefore they are useless for Iran, said outgoing Iranian President Mahmoud Ahmadinejad in an exclusive interview with RT’s Sophie Shevardnadze. “This is something that I said many times before. It is not of any use to us to have nukes. Where can we use nuclear weapons? They are useless, nobody can use them. The US has most of the nukes in the world – where can it use them?” he said on RT's SophieCo. 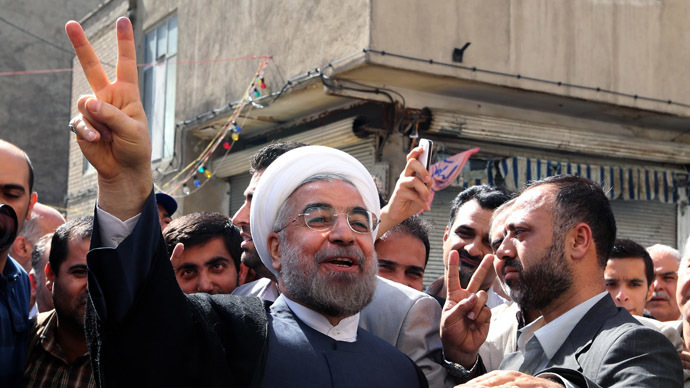 The Iranian President believes society is “well over this one”. Throughout its history Iran “has always been a defender and has always used conventional weapons only,” claimed President Ahmadinejad. 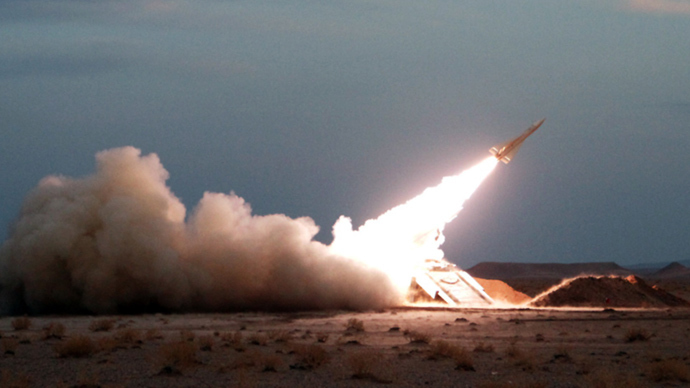 “Iran has never used chemical weapons. 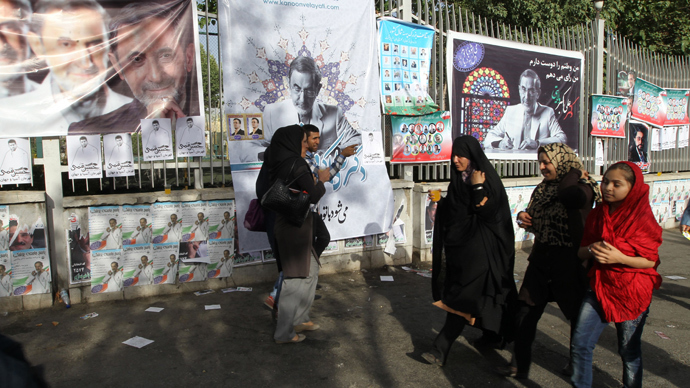 Iran is still defending itself with mostly a political-cultural defense,” Ahmadinejad said. However, the outgoing president whose term finishes on August 3 warned that “one cannot get away with bombarding” Iranian nuclear facilities. “[Nuclear facilities] are securely localized in the heads of our scientists,” he said, referring to American and Israeli threats to carry out unilateral strikes on Iran in recent years. The west headed by the US has been putting pressure on Iran over the country’s controversial nuclear program. Though Tehran always stressed the program is peaceful, Washington as well as Tel Aviv have suspected Iran of building nuclear weapons, something Tehran has consistently denied. 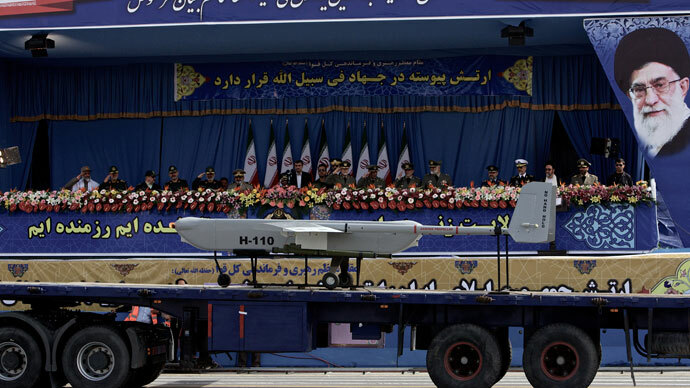 While the US has frequently stated that “all options are on table” while dealing with Iran, Israel threatened a unilateral strike on the Iranian nuclear facilities. “This is a psychological war and of course we’re ready to defend ourselves,” Ahmadinejad concluded. However, the Iranian leader remarked that a direct dialogue between Iran and the US would be possible – if Washington agrees to “equal circumstances” dialogue, not a dictate. “If somebody comes to you and holds a hammer over your head and forces you to have a dialogue – that is not right. A dialogue is about gaining understanding and resolving differences. 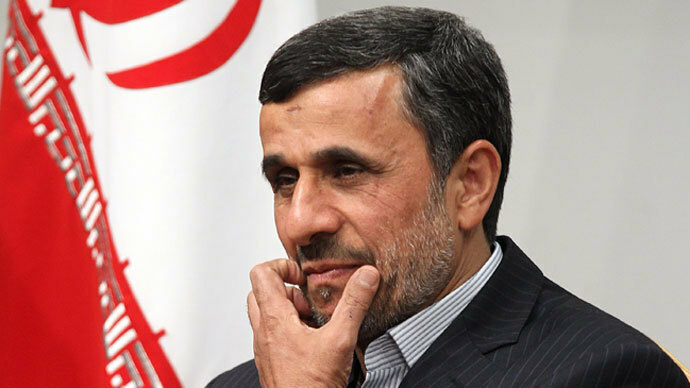 It should not be used as a method to impose on others,” President Ahmadinejad said. The world is facing an economic recession, the current economic crisis is an international one and it affects every country, be it Iran, Russia, the US or the EU, Iranian leader said. “Iran has been under unilateral, one-sided, unfair sanctions, but despite severe unprecedented sanctions the country develops economically – nothing short of a miracle. All economic indexes are improving, per capita income is going up, the human development index is on the rise,” he said. In late 2011 - early 2012, the US and EU imposed sanctions on Tehran targeting its banks and oil industry effectively banning the oil trade between Europe and Iran, and putting significant barriers to trade. Iran is still exporting oil, it has also begun to export electricity, steel and cement and the total exports, excluding oil, has grown seven fold, Ahmadinejad revealed. 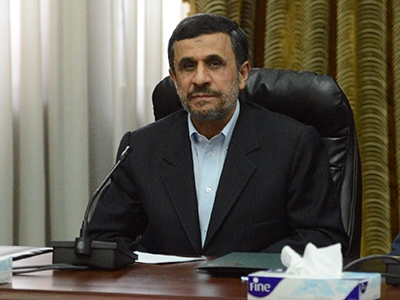 “In many fields related to technology we are among the top 10 in the world,” Ahmadinejad said adding that in terms of scientific progress the country rose from 32nd to 14th in eight years and scientific growth is 11 times higher than the world average. Western countries started to ignore Iran after the Islamic Revolution in 1979 and continued to do so over the last 34 years, but they have not succeeded in halting Iran’s economic development, President Ahmadinejad stated. 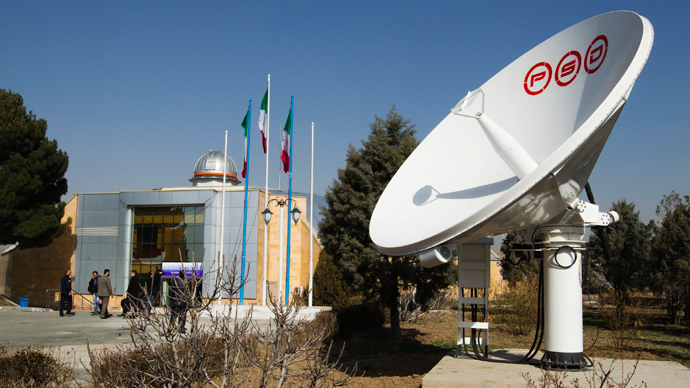 During the interview with RT, Iranian President Mahmoud Ahmadinejad has also talked of Tehran having always been aware of the cyber warfare conducted against it. In March, law and technology experts agreed that the Stuxnet worm used against Iran in 2009-2010 was a cyber-attack. Stuxnet was allegedly used to change the speeds of around 1,000 gas-spinning centrifuges without being detected, thus sabotaging Iran's nuclear research. 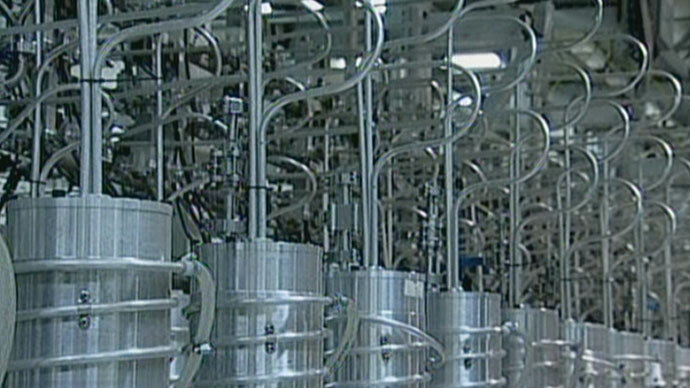 The US and Israel have been accused of collaborating on the virus in a bid to damage Iran’s nuclear program. “This is a world of communications. 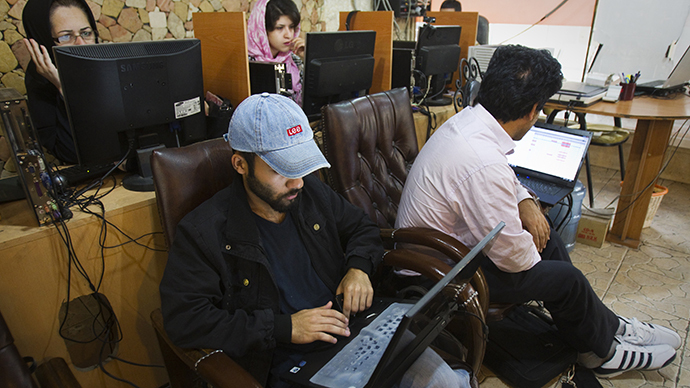 Once you get connected to the internet – there are going to be problems of a kind,” Ahmadinejad said. “We’re talking to each other right now, right?” he told RT’s Sophie Shevardnadze. “Do you think that we’re being bugged? That this place is bugged? Maybe we’re bugged, it is not difficult to do,” laughed the problem off the president. “Naturally, there is a software war going on in the virtual world, our agencies are doing this – if it is necessary,” Ahmadinejad said. 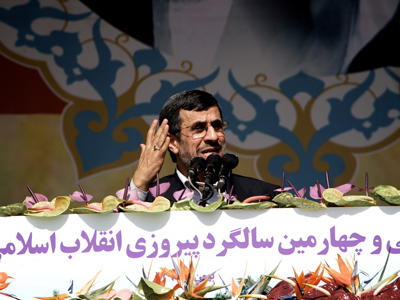 As for a possibility of an uprising similar to the Arab Spring, Mahmoud Ahmadinejad said that such revolutions were managed from the outside. “No ruler should feel safe, nowhere in the world, not only Iran,” he concluded adding that saying there is no ideal place despite humanity’s constant strife for perfection. The planet with about seven billion population is being ruled by maybe 1,000 people, while the governments just come and go, the Iranian President declared, so legislation is imperfect everywhere in the world and the rulers should think about ordinary people – or be overthrown. “In the next five-six year the countries run in a limited way by narrow-minded rulers will witness revolutions – including the US,” Mahmoud Ahmadinejad predicted. 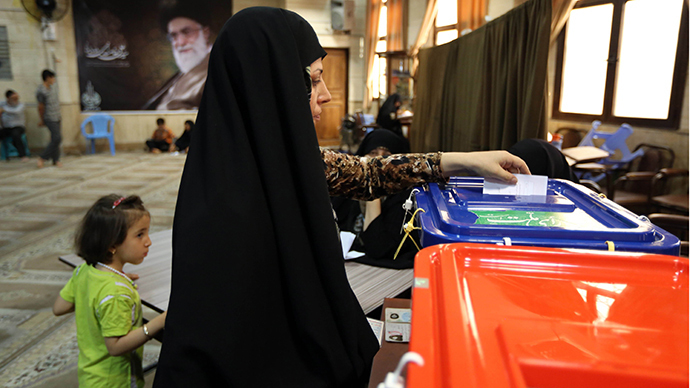 The same applies to the situation in Syria, where people should have a right “to choose elected rulers themselves,” Ahmadinejad said. Those who want to come to power militarily should be ready that the same rules of war would be applied to them. “The westerners do not want the Syrian issue to come to an end,” he said, and the west would like to redraw the Middle East map through developing the Syrian crisis – even if it would last for 20 years, believes the Iranian President.